Here’s important news for owners of Accuracy International (AI) rifles. There is now an approved AI service facility in the United States: Mile High Shooting Center (Erie, Colorado). After Mile High’s tech team received extensive training at the AI production center in England, Mile High Shooting Center has been appointed the USA’s first Accuracy International Factory Authorized Service Center. Mile High, owned by Randy and Diann Pennington, has been an AI distributor for many years and the Service Center will be run by professional gunsmith Adam Rehor. To contact the new Service Center, email AIservice@milehighshooting.com or call (303) 255-9999. Mile High Shooting Center is located in the Denver metropolitan area. The company has fully-equipped facilities to provide LEO and civilian users with factory standard spares, service, and repair for all Accuracy International rifles and equipment. Share the post "New Accuracy International Service Center in Colorado"
You may not know it, but Top Shot Champion Dustin Ellerman is not just a great shooter. He’s also a youth camp director. Dustin runs a Christian-oriented camp in Texas. 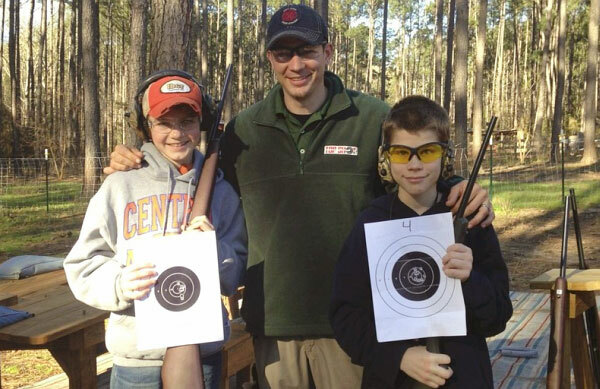 This spring, the camp will be offering weekend marksmanship camps for youngsters and teens. Dustin tells us that there are still a few spots available for the popular Kids’ Camp which offers a “Top Shot” type experience: “We have openings for the Kids’ Camps on February 20-21 and February 27-28. These are for kids ages 9-13. Sorry but the March 5-6 Teen/Parent Camp is full.” For more information, visit Marksmancamp.com. At Camp His Way in Zavalla, Texas, Ellermann hosts weekend Marksmanship Camps for kids aged 9-13 and teens 14-18. The Christian-oriented camps focus on safety, marksmanship skills, and team building. 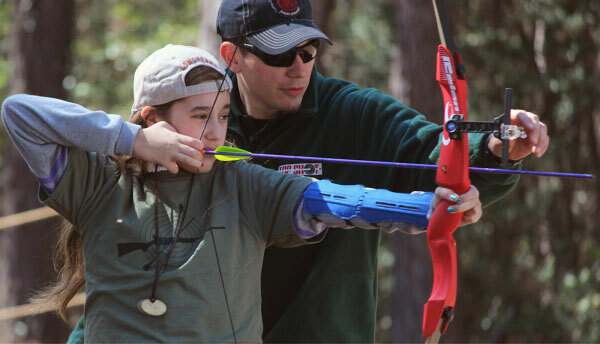 Campers enjoy a host of fun skill-oriented activities: Airgun Shooting, Archery, Blowguns, Knife Throwing, Paintball Games, Slingshots, Tomahawk Throwing, and of course Rimfire Rifle Marksmanship with a variety of rifles. The Kids’ (ages 9-13) Marksmanship Weekends cost $270. That fee includes all ammo, equipment, meals, lodging, team t-shirt, and one adult guest spectator. Parents are welcome to attend and spectate, but participation in marksmanship activities is limited to the kids at this time. CLICK HERE to reserve a spot — a few openings are still available. 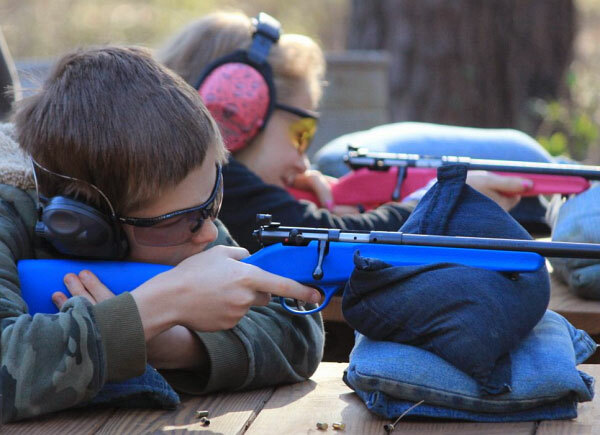 Notice the young campers always wear ear and eye protection when shooting firearms. That’s as it should be. We wish adult shooters, including benchrest, smallbore, High Power, and F-Class competitors, followed this important safety practice. 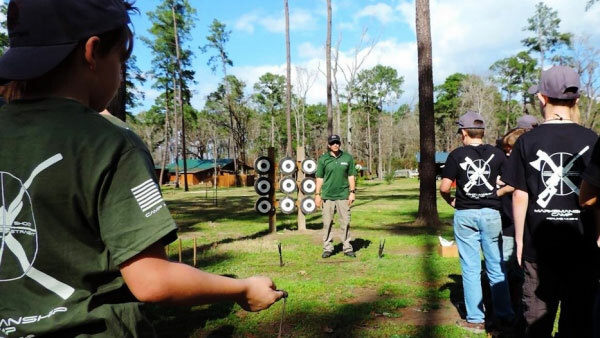 Share the post "Spots Still Available for Texas Youth Marksmanship Camps"